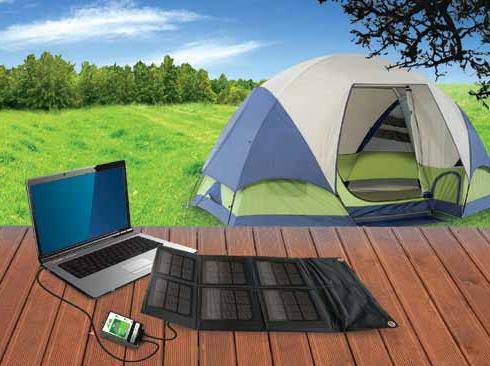 This lightweight, water resistant, portable folding solar panel is great for charging laptops and 12 Volt batteries. The included 10 laptop adapter plugs will work with most laptops and notebooks allowing you to charge your computers while on the go. With it’s folding design makes this system ideal for traveling, backpacking or camping. 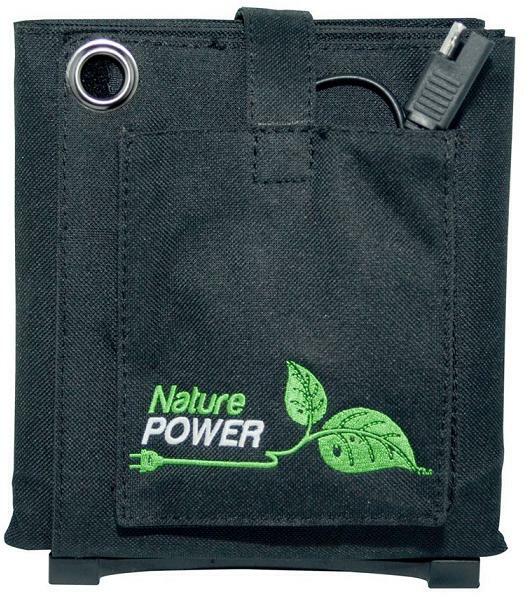 Compact and portable, folds to 6” X 7” for easy storage. The O-rings are great for mounting the solar panel anywhere that will receive direct sunlight. The included 8 Amp charge controller helps regulate the current and voltage going to your computer or battery and will protect your computer or batteries from overcharging or discharging with it’s built-in blocking diode. 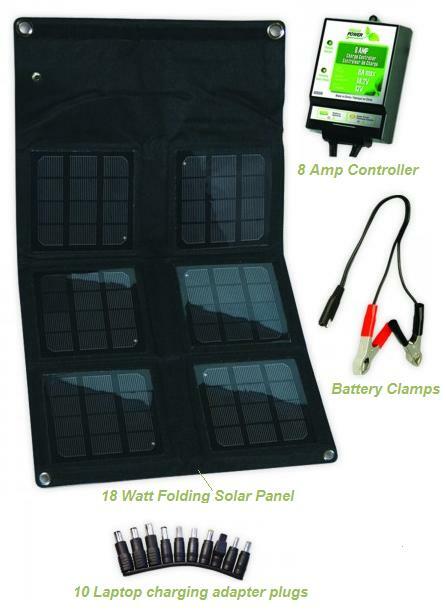 This system includes: 18-Watt folding solar panel, 12-volt /8-amp charge controller, 10 laptop adapter plugs, 12-feet wire and one set of battery clamps. Solar Panel Measurements: 27" x 15" x 2"
Folded Measurements: 7" x 6.6" x 2"